The current surge of volcanic activity on Hawaii’s Big Island threatens to spill over into a series of massive explosions, ScienceAlert reported, citing researchers and local officials. 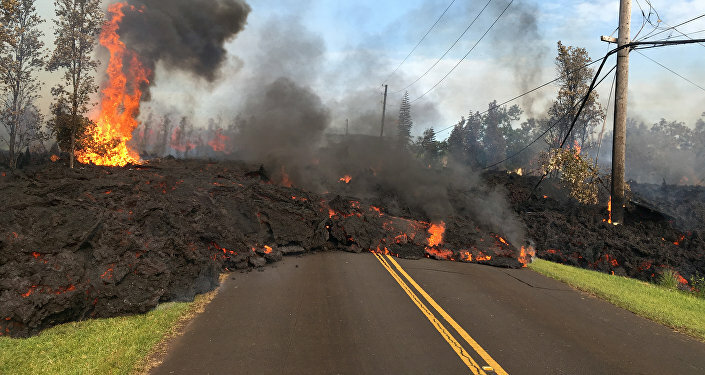 Last week’s explosion of Kilauea, the longest-erupting volcano on the planet, forced some 1,700 people to abandon their homes and destroyed 36 structures when a flow of red-hot underground magma burst through the surface in the Leilani Estates — a residential area about 40 miles from the volcano’s crater — sending up torrents of molten rock and toxic gases. 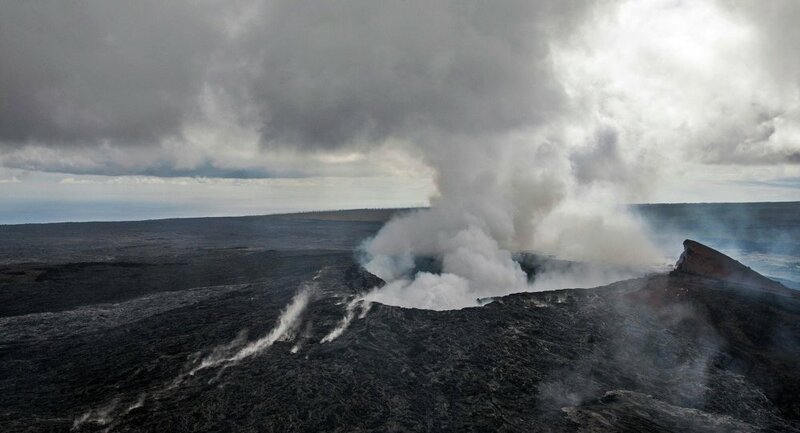 Scientists at the US Geological Survey's (USGS) Hawaiian Volcano Observatory said that as a result of the downward movement of magma towards Leilani Estates the lava lake at the top had dropped in elevation. Experts warn that within the next few weeks the level of the lava lake could drop further to reach water level. This is an unnerving prospect indeed, because this could set off a series of powerful steam explosions that could shower the surrounding area with 10-ton molten rocks and spew ash as far as 20 miles away. "If you're near the crater, within half a mile, you could be subject to ballistic blocks weighing as much as 10 or 12 tons," USGS volcanologist Donald Swanson said during a conference call with reporters on Wednesday. If you're within several miles, you could be within range of smaller rocks the size of marbles, he said, and 20 miles downwind "you would see fine ash floating from the sky like snow," he added. Hawaii’s main volcanoes are “shield” volcanoes, which produce lava flows that form gently sloping, shield-like mountains. There are currently three active volcanoes in Hawaii. On the Island of Hawaii, these are Maunaloa and Kilauea. Maunaloa last erupted in 1984, and Kilauea has been continuously erupting since 1983. The third one, Loihi, is located underwater, off the southern coast of Hawaii Island. Erupting since 1996, this emerging seamount may eventually break the surface, adding a new island to the Hawaiian chain.